SEOUL, South Korea (AP) — Samsung Electronics Co. has posted a record operating profit for the last quarter with robust demand for its mainstay memory chips compensating for a slowdown in its smartphone business. 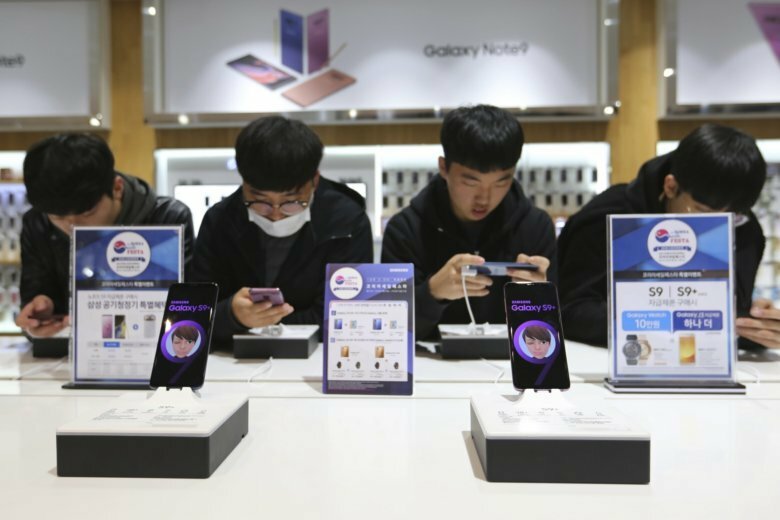 The South Korean technology giant on Wednesday said its operating profit during the July-September quarter grew at nearly a 21 percent annual pace to 17.6 trillion won ($15.4 billion). Samsung’s previous high in quarterly profit was the 15.6 trillion won it posted during the first quarter. Third-quarter sales grew 5.5 percent year-on-year to reach 65.4 trillion won ($57 billion) while net income rose 17.5 percent to reach 13.1 trillion won ($11.5 billion), the company said. The operating profit of Samsung’s chips division rose 37 percent year-on-year to 13.65 trillion won ($11.9 billion) thanks to strong demand generated by mobile devices and servers. The operating profit for Samsung’s display panel business also saw a slight increase at 1.1 trillion won ($966 million). However, operating profit for Samsung’s IT and mobile communications division, which covers smartphones, fell 32 percent on year-on-year to 2.22 trillion won ($1.9 billion) while sales declined 10 percent. Samsung said smartphone shipments stagnated during the period despite strong sales of its flagship Galaxy Note 9 devices because it was restructuring the lineup of its lower-cost handsets. Samsung is the world’s largest maker of memory chips, smartphones and display panels.